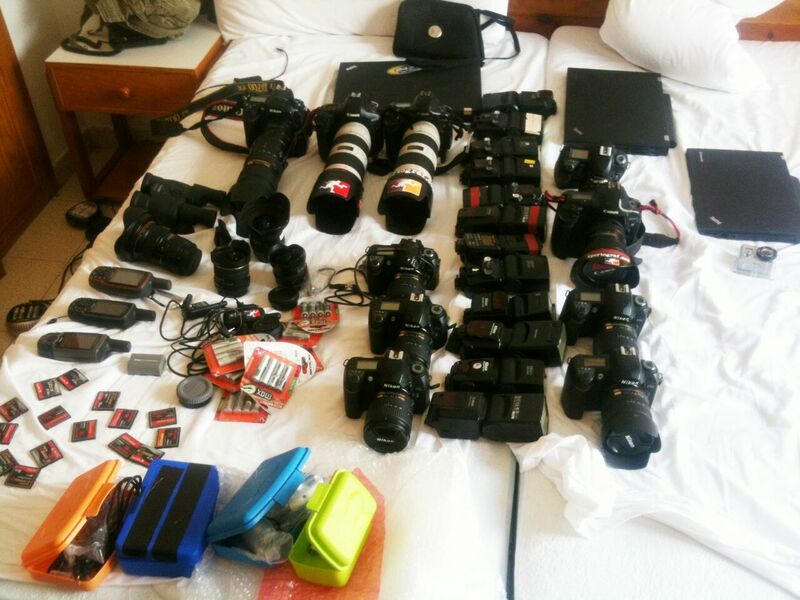 You all know what kind of work we do, but do you know how much equipment it takes to deliver the best pictures? 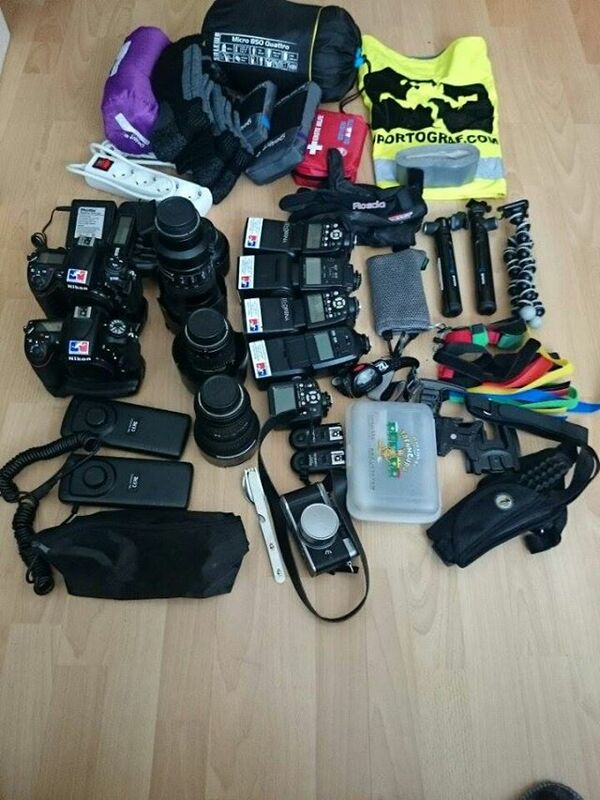 This time we’ll take a closer look at the average stuff a Sportografer takes with him/her during an event. 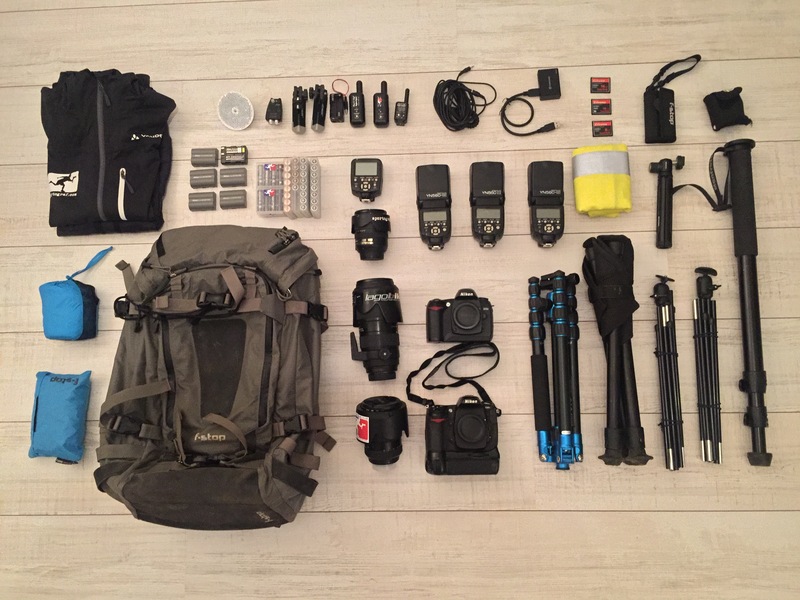 It all starts with a backpack with an average capacity of 50L. Some carry really huge backpacks so it looks they will be away for days and days. Oh yeah, sometimes they are. 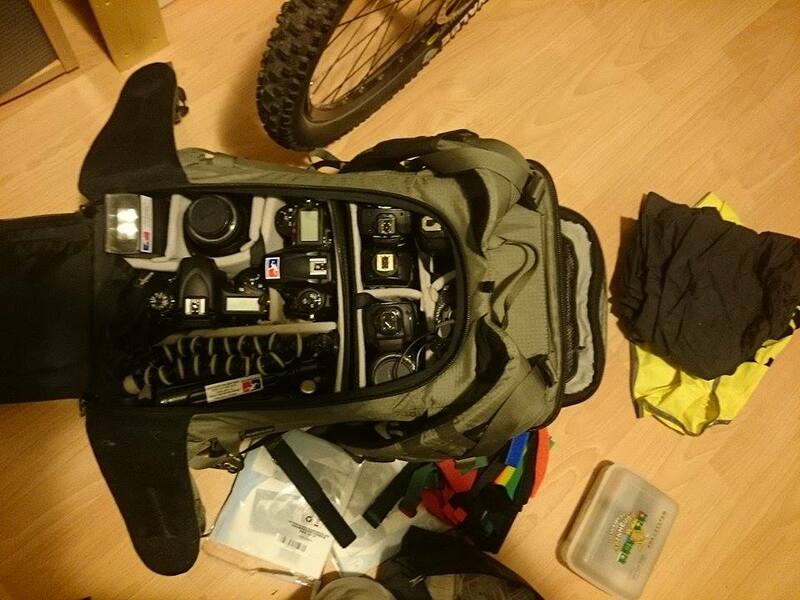 Then there’s the camera gear. Usually 2 bodies with different lenses. Most of the times you don’t know the spot you’ll be working from, so all lenses are carried. It may look the same but the lens used on this picture…. … is a completely different one from the lens used to take this picture. Because we work a lot in dark and/or cloudy areas we may need to light the participants – that’s you – up a little. So at least one flash is needed, but most of the times we need two or three. Especially with our automatic camera’s (those creepy things that take pictures of you when none of us is around), or if we want to take pictures with movement in it. Here you see the difference very well. Weather looks good, sun is shining. But I used three flashes for the second picture. Looks much better, what do you think? All the electrical gear needs… power! If you’re out in the field for hours and hours it’s sometimes hard to imagine how much batteries we need. 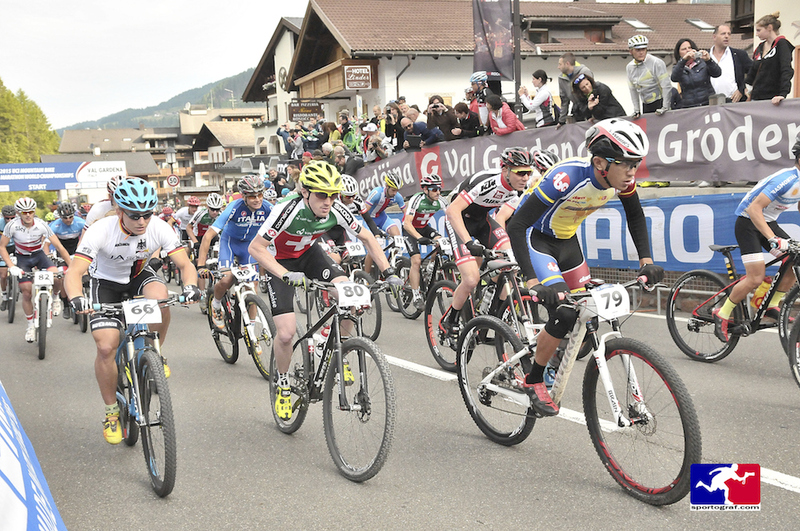 Or in races with more then 15.000 participants. And yes, every battery goes into the backpack. 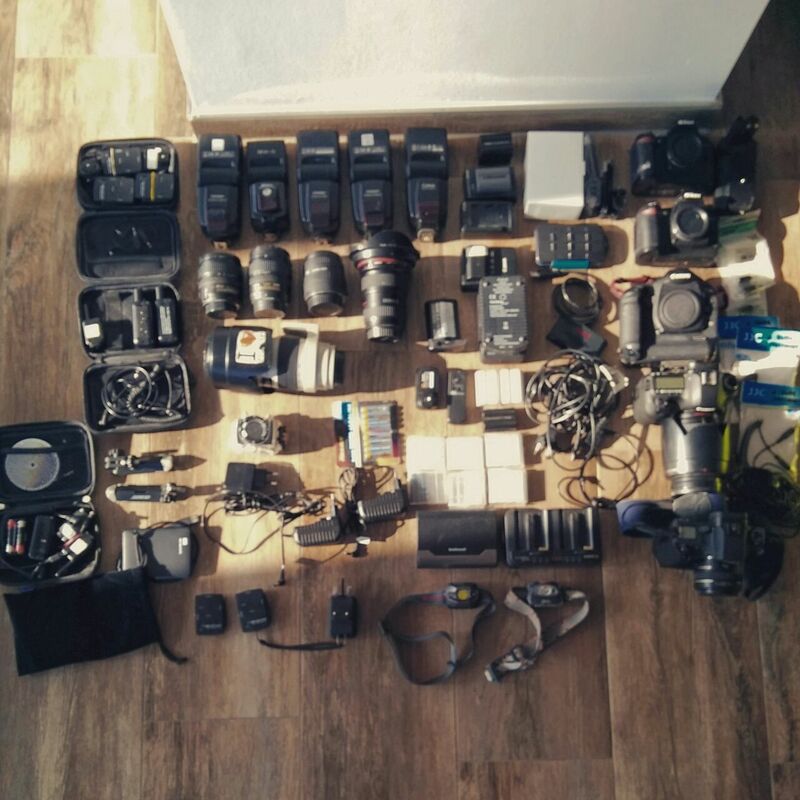 Markus Vollmeier flew to Africa for the Cape Epic with this stuff. Cape Epic stuff in the bag. I hope this gives you a little more insight in what we do, and sure hope you like it! Keep an eye on our Sportograf blog for more stuff in the future, and feel free to leave a comment below. We love to hear from you!